No longer are “bear” and “bull” good enough to talk about the markets. “Buffalo” best describes what markets are doing right now, according to Bank of America Merrill Lynch. 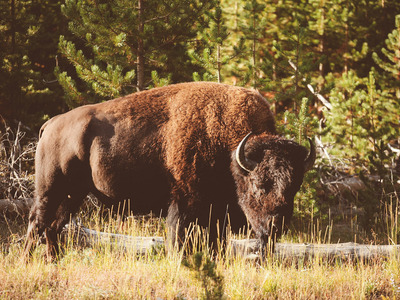 “A buffalo market tends to roam over a long period of time, is herd-like and rather heavy, and can run the other way when worrisome obstacles get in the way,” Karin Kimbrough, head of macro and economic policy at Merril Lynch, said in a newsletter. Which means that even as markets seem calm for now and have mostly gone more or less sideways, there are any number of things that could set them on a rampage. The Brexit vote and the crazy US elections are two in just the political realm, according to Kimbrough. The newsletter goes on to suggest a diverse portfolio to protect yourself when the market decides whether it is a bear or a bull, though it might take a while to get to one or the other. “This range-bound “buffalo” market may be with us for some time,” Kimbrough said. So when the market does turn, which way will it go? Due to high valuations in the market today, its harder to see the upside potential, according to the newsletter. “Any further upside would probably be borrowing from returns in 2017 or require an earnings boost for the S&P 500… The markets are more vulnerable to negative news, or even anticipation of it,” noted Kimbrough.